This week was the finale! 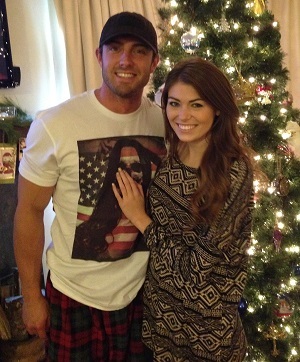 And Sweet Home Alabama‘s bachelorette has finally found her soul mate. Read on about meeting family members and picking the guy. This week was the finale! And Sweet Home Alabama’s bachelorette has finally found her soul mate. Read on about meeting family members and picking the guy. I can’t believe the season finale is here! This final episode brought back so many memories and emotions. I’m down to two amazing guys, and I never thought a city guy would be in my final two. My first date was with Collin. As he and I were sitting together in the ice cream shop, I looked up and saw strangers walking toward us. I didn’t know what to think because they kept coming closer to our table. When I realized it was his mom and sister, I was so excited and a little nervous. It was time for his family to drill me! I honestly felt right at home with them. They are both extremely sweet women. Later that night, I met Collin by the lake where we had our first kiss earlier in the season. I didn’t know what to think when he blindfolded me. I was a little uncomfortable because I always like to be in control of the situation, but it was pretty funny to watch back on television as he led me down the pier in my high heels. The whole setting, with the dock and all the lanterns, was incredibly beautiful. It was great to hear from Collin that he was falling in love with me, but I know in my heart I can’t say that to anyone until there’s only one man in my life. My final date with Nate was different than usual but nonetheless just as perfect as a city date could have been. We paddle-boarded, and it was my first time doing that. My favorite part about Nate is his contagious personality and that adorable crooked smile. His brother and sister-in-law came in to surprise him, and it was so special to have them come all the way from northern California to visit. Nate has blown me away since our first conversation with each other, so it was no surprise that our final date was just as wonderful. He took me to a beautiful mansion and laid out for me exactly what he wanted his life to be like. In that moment, I knew I could definitely see myself as a part of that picture. When the day came for me to make my final decision, I was so emotional. I knew it was one of the most important decisions of my life. As I stood outside waiting for Nate, I was just hoping I could keep myself together. When I saw him coming down the walkway, I knew I was letting go of an amazing man, but I also knew deep in my heart that I wasn’t meant to be with Nate forever. Collin and I had instant chemistry upon meeting each other. While we’ve had a few bumps in the road along the way, each of them made us stronger and now I’m 100 percent sure that I have found my other half. When I admitted to Collin that I was falling in love with him, I think he was speechless for the first time in his life (I’m pretty sure that boy could talk to a brick wall). I am so happy with where we are today. I can’t thank you all enough for joining in my journey, watching my love story unfold this season and reading my blog posts each week on SheKnows. I can’t wait to be able to be in public with Collin and look forward to what’s to come. 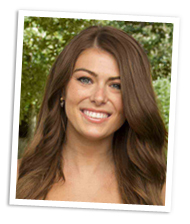 Kelsey recaps Episode 3: Whose first date was unforgettable? Kelsey Smith recaps Episode 2: Who was “rude and disrespectful”?